Cons: Customization request takes a little time to get done. Pros: Based on the demonstration done, it was simple to use with multiple features and the ability to fine tune to one's individual needs, which is very important in portfolio management. Cons: Based on what was shown very little. The software seems to have features which larger families can use effectively. Overall: What this allows is to solve problems for families with multiple wealth management banking relationships and providing a consolidated view of the portfolio with the ability to get information very quickly, including historical data, analysis, risk classification etc. Thank you for the positive review of FamilyWealthGuru which you have so kindly posted. 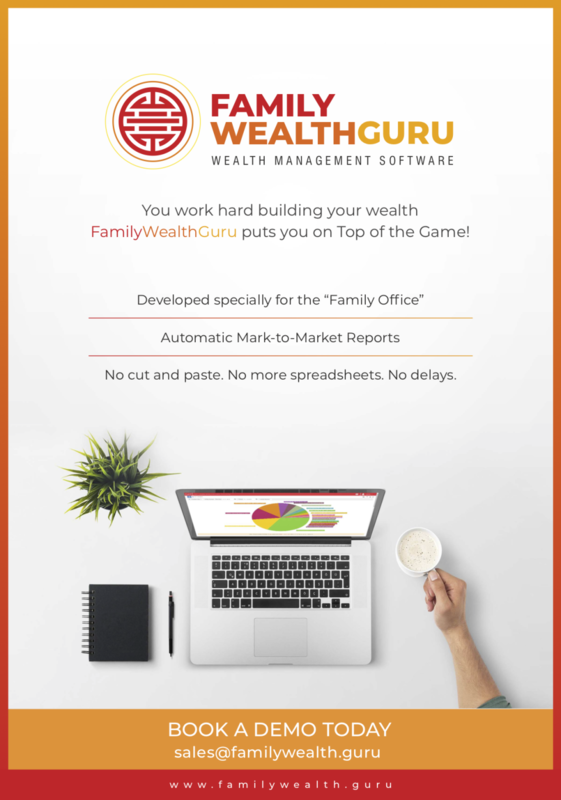 We are overwhelmed with the tremendous response we are receiving for FamilyWealthGuru and I am happy to inform you that we are implementing it for many External Asset Managers (EAM), Wealth Advisors and Family Offices. With the singular aim of Zero Manual Work | No More Spreadsheets, we are excited in helping families and wealth managers grow the hard earned wealth.